When you have a website in Omaha, web design and several other factors determine how much visitors engage with your website. You want people to visit frequently and stay for a while to help improve traffic. Your website needs to be organized well and responsive, but it also needs to provide something that catches the attention of visitors and makes them want to come back time and time again. 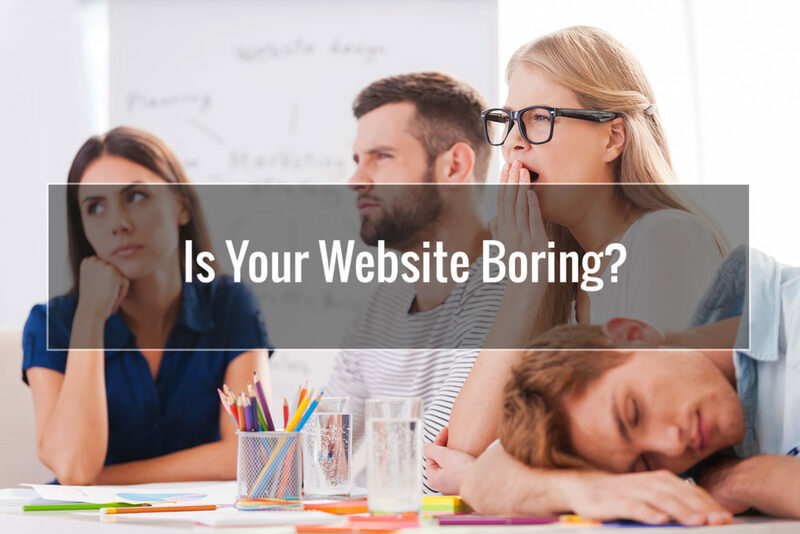 There are signs that your website is boring and not one that people want to interact with. Knowing what these are can help you to reorganize and develop a new strategy for your website. When people visit a web page, they want to quickly move around and get where they need to be. When you are evaluating your Omaha web design, start by assessing the speed. You want your website to be fast and efficient on all platforms, so make sure that you test it on a variety of devices. If you notice areas that are not responsive, take note because these are the first areas you want to work on. If your website looks like it did the day you created it and it was created over a year ago, it is time for a change. The changes might not need to be significant, but a little refreshing can help to bring interest back to your website. Look for elements light bright colors, odd fonts and the overall layout. Start here and make your website easier on the eyes. Go with neutral colors and a font like Open Sans or PT Sans, since these are simple. The layout should have a progression. In general, your Omaha web design should be simple and easy to use. In the late 90s, splash pages were important, but today, they are mostly just a turnoff to website visitors. When you are redoing your Omaha web design, the first thing you want to do is get rid of that splash page. Create a simple and basic home page that will welcome your website visitors. Visitors do not want to hear music blaring when they visit your website. If you want to embed video clips into your Omaha website design, make sure they do not autoplay. Set them to where the visitor can choose to press play and watch video or listen to audio. Whether you are hosting on WordPress or another platform, a website that encourages unique and repeat traffic are key. When it comes to owning a site in Omaha, web design is often the most crucial factor and what you learned the most about here. Take this information and use it to implement new ways to refresh your website and make it one that people look forward to visiting.